A radiant white gown, your sweetheart at your side, and a gathering of your closest friends and family … it's the wedding you've always dreamed of. The only thing that can make it even more special? The perfect setting. With the stunning beauty of the Great Smoky Mountains as a backdrop, and dozens of romantic venues to choose from, Gatlinburg, Tennessee, is the ideal place to bring your wedding plans to life. With summer just around the corner, though, now is the time to start thinking about location, decorations, food and more. Ask anyone who's been to Springfest and they'll tell you that spring and early summer, when the mountains are just waking up from winter and the flowers are in bloom, is a perfect time to visit. Hundreds of varieties of native plants blanket the world, and everywhere you look is one that's more gorgeous than the last. For a bride-to-be, the Great Smoky Mountains are a gorgeous setting for her big day. If you're dreaming of an intimate outdoor event, you'll love the spectacular scenery that will serve as your chapel. Imagine saying your vows next to a crystal-clear stream, or standing atop a scenic lookout. The sun filtering through the canopy of trees is every bit as breathtaking as a stained glass window, and songbirds will provide the music. If you prefer an indoor event, there are plenty of quaint chapels to choose from as well. Step back in time and enjoy the intimacy of a tiny log church, where your friends will gather on the same pews that have served for a century or more. Tucked deep in the valleys, these delightful sanctuaries create a truly romantic atmosphere for your special day. The romance continues after the ceremony when you choose to honeymoon in a secluded cabin in the woods. You and your groom will enjoy the view from the porch as you savor your morning coffee before setting off on a sightseeing tour of the area, or just a quiet nature walk. Miles of trails are just steps away, and with summer in full swing, you'll have the company of birds, deer and other forest creatures. Later, an in-room couple's massage provides a relaxing end to a delightful day. A summer wedding in the Great Smoky Mountains is a charming event your friends and family will love, and a memory you'll cherish forever. 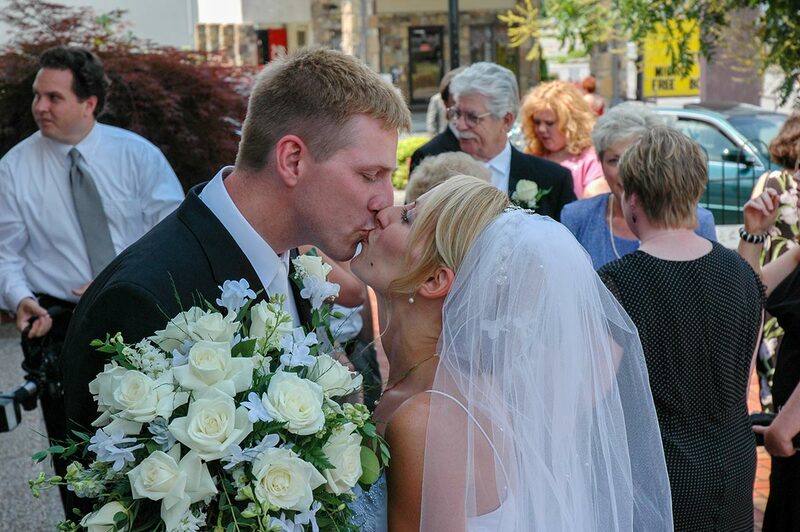 Whether you're dreaming of an intimate outdoor ceremony or an elegant affair fit for a princess, you'll find just the right venue in Gatlinburg and Pigeon Forge. And with the mountain wildflowers in full bloom and the fresh scent of summer in the air, it's a beautiful start to your new life together. But don't delay, now is the ideal time to start making preparations for a summer wedding.